Nepali is spoken as either mother tongue or second language by most of the inhabitants of Nepal (approx. population 26.5 million) and by several millions more elsewhere in the Eastern Himalaya and on the Indian plains. It is closely related to Hindi and is written in the same Devanagari script. The best online resource for learning the basics of the language is Cornell University's `Nepali: a Beginner's Primer Conversation and Grammar,' which includes audio and video components and is available free-of-charge. The materials use the Devanagari script from the start but those who find this difficult can get extra help from London University's online introduction to Devanagari, intended specifically for those beginning Hindi but also useful for students of Nepali, which includes demonstrations of how to write each character and also recordings of their sounds. Other resources include basic sentences for greetings, expressing thanks, exchanging basic personal information etc. demonstrated on the Youtube video `Learn Nepali Language' and a basic Nepali-English on-line dictionary (as a pdf file) compiled by Karl-Heinz Krämer, with words arranged alphabetically in Romanisation but Devanagari transcription also given. A Foundation in Nepali Grammar by Christopher Jay Manders (Bloomington, Indiana: AuthorHouse, 2007), which provides a systematic treatment of the grammar intended as a suplement to other courses, is available in large part online. An excellent dictionary for learners, now freely available on the University of Chicago's `Digital Dictionaries of South Asia' site, is Ruth Laila Schmidt's Practical Dictionary of Modern Nepali. Words can be searched for in Devanagari or in a transcription using double letters for long vowels and capitals for retroflex consonants, whilst the entries themselves also give the standard Indological transcription for words taken unaltered from Sanskrit. There is also a digitalised version of Sir Ralph Turner's classic 1931 dictionary, excellent for the colloquial language and for etymological information but lacking some of the Sanskrit terms used in modern literary Nepali. It is necessary to enter words either in the standard Indological transcription (minus diacritics) or in Devanagari script. 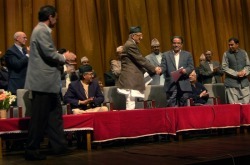 The illustration shows the signing of the 2006 Comprehensive Peace Agreement between the interim government headed by Girija Koirala and the Maoist leader Pushpa Kumar Dahal several months after Janandolan (`People's Movement') II had forced King Gyanendra to return power to parliament. Girija Koirala died on 21 March 2010 after over sixty years' active participation in Nepalese politics and five terms as prime minister. Obituaries by Kunda Dixit and by myself are available on-line. A Powerpoint presentation on political developments in Nepal up to the fall of the monarchy can be downloaded here. Those who know some Nepali already may be interested in hearing the former king giving slow and careful answers during a March 2010 interview. An extensive profile of Dahal (`Prachanda')'s career is provided in Deepak Adhikari's `The Fierce One' (February 2013) and an overview of the Maoists' role since the peace agreement is provided in Aditya Adhikari's `Discontents after the Revolution', published the same month. i. Our government and other governments will be providing aid through government channels; rest assured that significant portions of that aid will not get into rural communities or meet individual needs. ii. In this emergency, everyone who has been affected will need more resources than they have or than the government is likely to provide. iii. If you know and trust a particular personal connection, you can also ask them to share your gift with others in need as much as they can. iv. If you don't know anyone and want to get money to individual people in need, just contact me or contact someone who does. If you are a Cornell-connected person, please also consider making a donation through "Cornell for Nepal"--more information to follow soon. Form is emptiness; emptiness is form. Gone. Gone. Gone beyond. Gone altogether beyond. Educate the Children is a US-based NGO partnering with ETC Nepal for school reconstruction, educational support, and shelter construction in several Dolakha VDCs with Thangmi populations. Core International is a small Canadian NGO partnering with Fashelung Samajik Sewa (FSS), a Thangmi-led community-based organization in Suspa-Kshemawati VDC, Dolakha, to respond to local needs. CWIN Nepal partners with the Rural Development Tuki Association (with support from FORUT Norway) to provide relief, shelter construction and school rebuilding, across several northern Dolakha VDCs with Thangmi populations. Himalayan Crossroads is supporting displaced villagers from eastern Sindhupalchok, as well as providing shelter and school building supplies to those who remain in the villages. 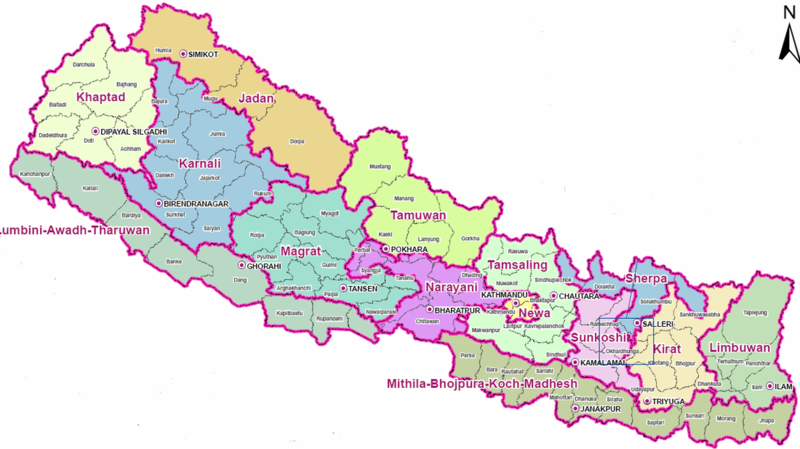 Although Nepal has been officially known as `The Federal Democratic Republic of Nepal' since shortly after the fall of the monarchy, the number of federal units and their boundaries have remained a matter of controversy. The first two maps below show the structures proposed by the State Restructuring Committee in 2010 and by the High Level state Restructuring Commission, a body of experts which reported in January 2012, whilst the third shows the arrangement agreed by leaders of the three main political parties at their meeting on 15 May 2012 but then almost immediately rejected by the Maoists as well as janajati groups. _ The HLSRC recommendations differ from those of the SRC principally in merging the proposed Sherpa, Sunkoshi and Kirat states to form a single Kirat unit, the amalgamation of Jadan (intended as a homeland for groups speaking various Tibetan dialects) Karnali and Khaptad into a single Khaptas-Karnali province and major alterations to the boundaries originally proposed for Narayani. 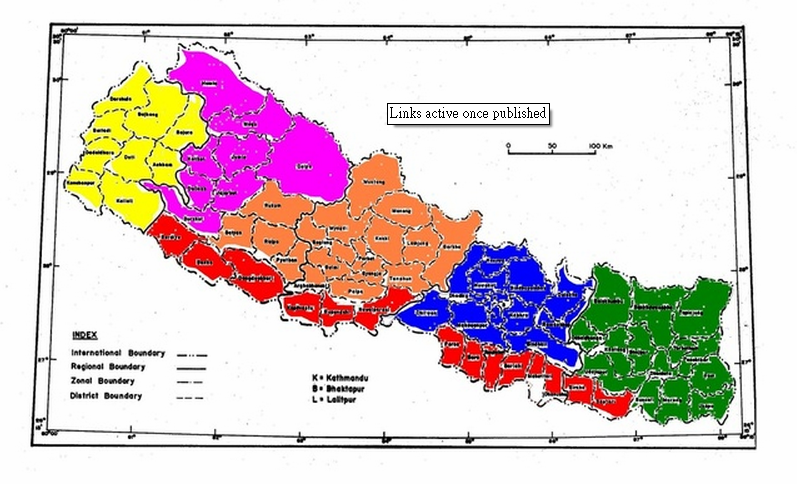 This would give a common boundary to the two proposed tarai (southern plains) states and this, in addition to the changes in name to `Madesh-Awadh-Tharuwan' and `Madesh-Mithila-Bhojpura' is presumably intended in part as a concession to tarai regionalist parties which had been demanding `a single Madesh' comprising the whole tarai. The commission also recommended the creation of an eleventh `non-territorial’ state for dalits (`Untouchable’ castes). The HLSRC map was kindly made available by commission member Professor Krishna Hachhethu. Some other models suggested earlier are included in a slide presentation from Himalayan Voice but unfortunately without labelling. 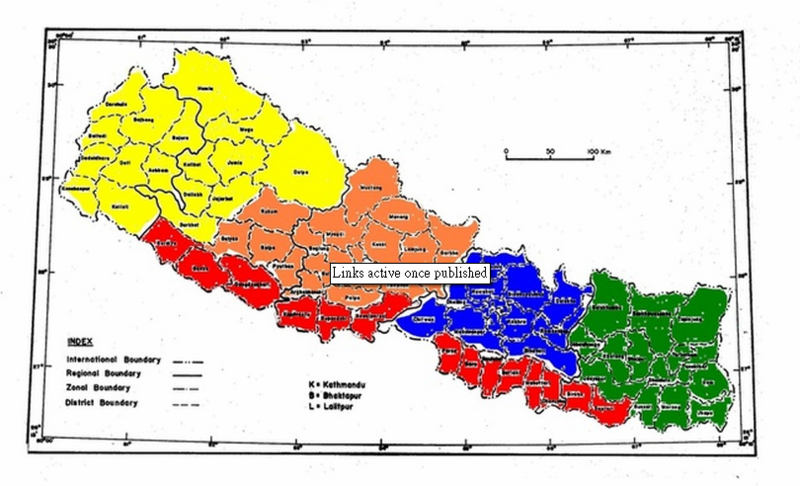 On 29 November the Maoist-Congress coalition which had replaced the UML-led government in August registered an amendment transferring from province 5 to province 4 the hill districts of Rolpa, Pyuthan, Gulmi, Arghakhanchi and Palpa, plus the eastern half of Rukum (the area shown in stripes on the map below). 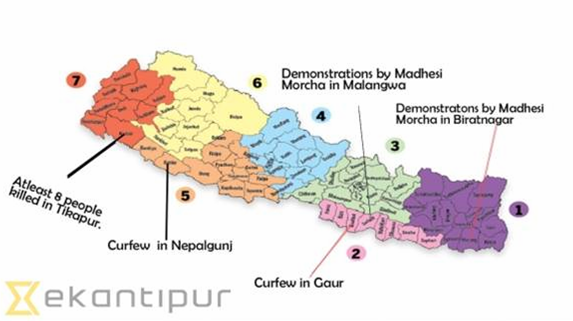 This proposal met with strong opposition from the UML and also some activists of the ruling parties, while it was criticised by Madhesis groups for not going far enough. By the end of the year the main Madhesi block, the United Madhesis Democratic Front, had decided to back the amendment despite its unhappiness over the inclusion of the far-western and far-eastern tarai in north-south provinces but the UML remained adamantly opposed and continued to block proceedings in parliament. 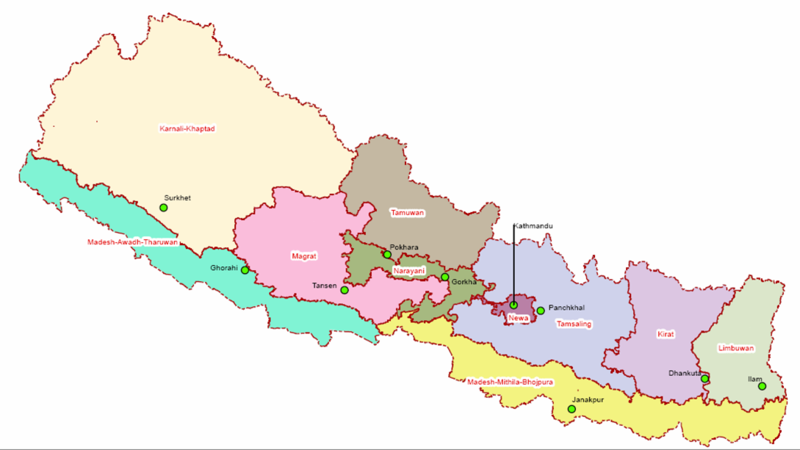 The 1st amendment to the constitution, passed in January 2016, mandated population rather than geography as the first principle in drawing constituencies boundaries (one of the Madhesi demands) but did not include any re-drawing of provincial boundaries. An agitation by Madhes parties to force further concessions involved the blocking of shipments into Nepal from India, with covert support from the Indian government, was abandoned in February 2016. 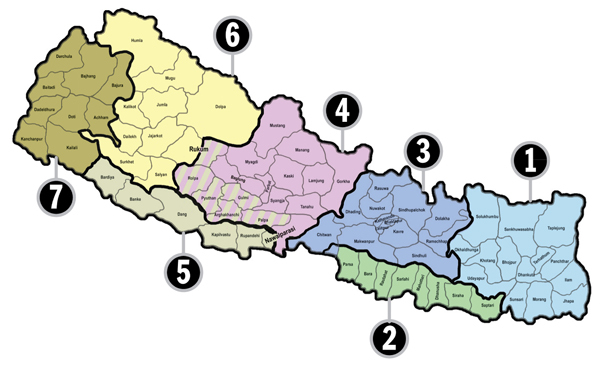 Although the door to boundary adjustments was theoretically left open, the victory of the UML-Maoist alliance in the November-December 2017 general election meant that the removal of hill districts from Province 5, which the UML had strongly opposed, was most unlikely to materialise. Pressure for ethnically-based provinces in the hills also appeared to have diminished since the Indian `blockade' had tended to solidify hill janajati support behind the 2015 constitution. Nepal still uses the Viram Era, which commenced in 57 B. C. and was once widely used in South Asia. The year 2068 V.E. began on 14 April 2011 and a calendar for the whole year, including dates for religious festivals which depend on the lunar months and so are on different dates in different years, can be downloaded here. Probable migration routes (based on linguistic data; boundaries and waterways after van Driem 2001). `Limits of Nationalism: National Identity in Nepal and the British Isles.' An audio-recording of the lecture is available here. The paper itself, together with those presented at the Workshop on the same day, has been published in the 2017-2018 special issue of the European Bulletin of Himalayan Research (nos. 50-51). Among those who entered directly over the passes from Tibet were the ancestors of the the present-day Gurungs (who call themselves `Tamu'), Tamangs and Thakalis, whose very similar languages seem to have had a common origin. 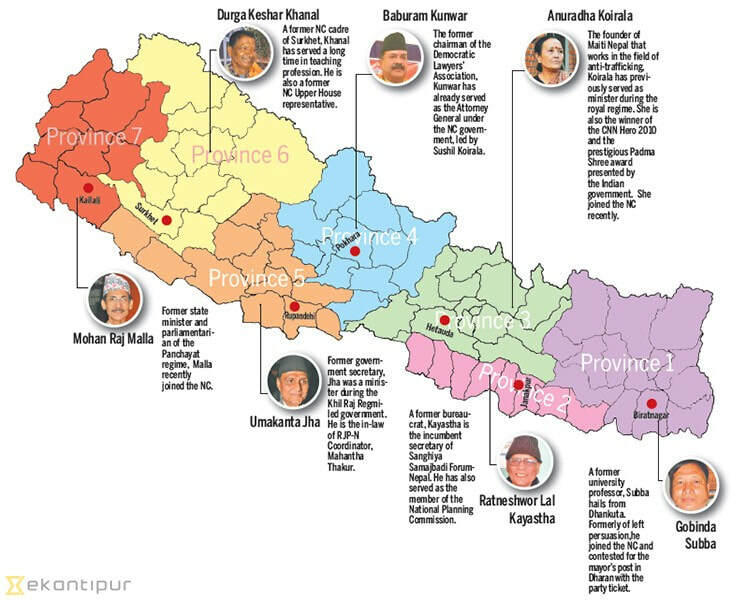 Because there are no contemporary written records, the story of their migrations and subsequent movements within Nepal cannot be known with any certainty. However Bhovar Palje Tamu andYarjung Kromchhe Tamu, drawing on legends (pye) preserved by their priests, and also on a good deal of speculation, produced a detailed account of Gurung movements entitled`A Brief History of the Tamu Tribe’ and published as an appendix to the 1993 English edition of Bernard Pignède's The Gurungs (edited by Sarah Harrison and Alan Macfarlane, Kathmandu: Ratna Pustak Bhandar). 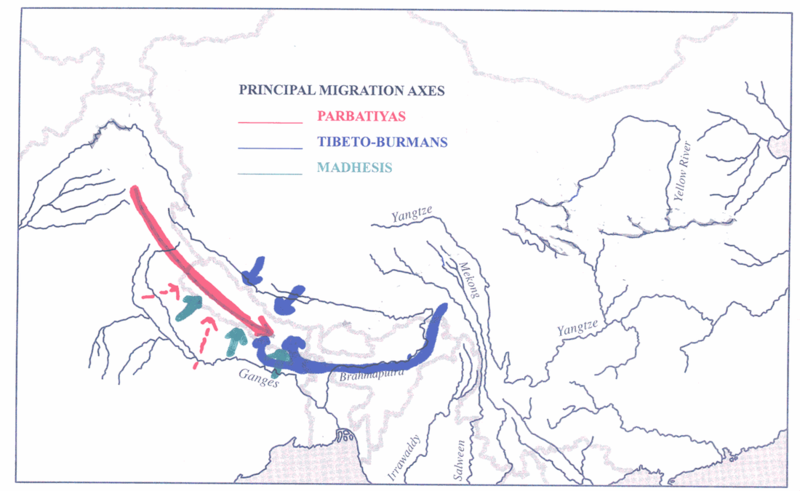 They put the migration across the Himalayas to the Annapurna region in around 500 A.D. and (in accordance with widespread oral tradition amongst the Gurungs living north-east of Pokhara) state that the ruined village of Khola Sombre was the last settlement where the Tamu lived as a united people before splitting up to found different villages. Archaeological research, summarised in a 2000 report by Christopher Evans, Judith Pettigrew and Yarjung Tamu, suggests that this site was actually occupied in the 12th and 13th centuries A.D. and that the houses probably had the flat roofs typical of the arid region north of the Himalayas. Pettigrew and Tamu have published an account of their preliminary investigations (`The Kohla project: studying the past with the Tamu-Mai’, Studies in Nepali History and Society 4(1): 327-364. ) whilst Mark Temple provides a concise despciption of Kohla in `The ruins of an early Gurung settlement', European Bulletin of Himalayan Research, No. 5, pp.43-48. Temple's article is the first of the downloads below and the second a condensed version (Britain Nepal Society Journal, No. 13, pp.30-32) which includes a photograph of the site. Another film by Haimendorf, this time recoding his trip to the remote region of Dolpo, in NW Nepal beyond the line of the Himalayas. 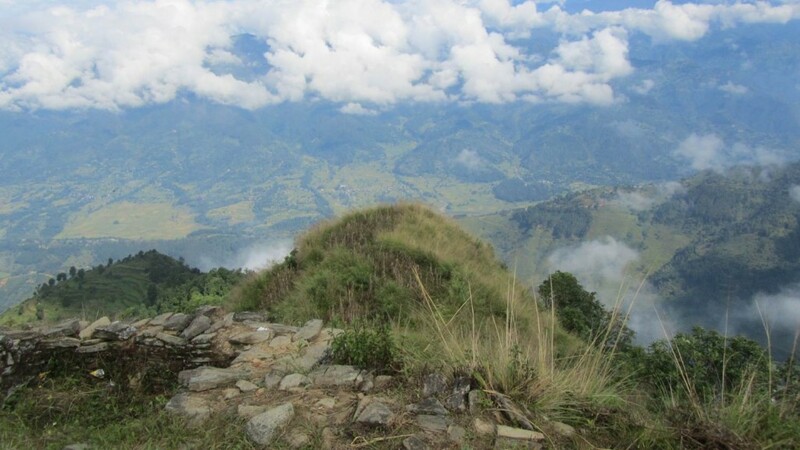 The picture below shows the remains of Liglig fort overlooking the Marsyangdi valley in Gorkha district, which played an important role in Drabya Shah's capture of Gorkha itself in the 16th century. The Gorkha kingdom was the base from which his descendant, Prithvi Narayan Shah, conquered the Kathmandu Valley and laid the foundations of modern Nepal in the 18th century. The site still await proper archaeological investigation as explained here. For details of some of the conflicting legends about the site, see also the Wikipedia article. The History of Janakpurdham: A Study of Asceticism and the Hindu Polity is a classic study by the late Richard Burghart of the Ramanadi ascetics of Janakpur in the eastern tarai and their complex relationship with state and society from the town's emergence as an important pilgrimage centre in the 18th century. Completed as a Ph.D. dissertation in 1978, the work was published in August 2016, edited by Martin Gaenszle. The video below is an edited recording of a panel discussion organised by the Social Science Baha in August 2016 to discuss the book. The easiest way that I am aware of to type in Devanagari - whether in Word, mail or on Facebook - is to download the Romanised Unicode Layout developed by Madan Puraskar Pustakalaya from the Language Technology Centre. You can then toggle between typing in Roman or in Devanagari as you would between, for example, American and British English. The values assigned to the standard keys are mostly based on phonetic resemblance, with the shift key used for long vowels and aspirates, leaving only a few more complicated correspondences to memorize from the diagram provided on the site. It is also possible to use the Unicode Nepali site to convert Romanised Nepali into Devanagari, but this is more cumbersome as and the resulting text, displayed on the website, has to be copied and pasted into documents. Though Unicode fonts may not be supported on some web platforms and computer systems, they work with most of them. The Preeti font, still widely used for typing Nepali but not Unicode-based, can be downloaded from easynepalityping.com and, after extraction from the zipped folder, pasted into the fonts section on your computer's control panel. This is less user-friendly than Unicode but may still be needed for reading some documents. If necessary (e.g. for input into an internet search engine) Preeti text can be swiftly converted to Unicode on Ashesh's site. ​Detailed coverage of events in Nepal is available in English on on the ekantipur or Republica websites, and in Nepali on another ekantipur page, or on the sites of Nagarik daily or of the weekly new magazine Nepal or the fortnightly Himal Khabarpatrika. The Nepalnews site also makes available a recording of the previous day's evening news bulletin from Sagarmatha Television. The Nepali version of the ekantipur site includes archives going back over ten years but with a lot of gaps and often only including one or two reports from each issue. The English-language Nepali Times (a weekly) also has an openly accessible archive of the complete text past issues. You can also listen live to Radio Nepal's broadcasts from anywhere in the world. More links, and an archive of information on politics and other aspects of Nepal can be found at the Nepal Research site. Detailed analysis of the political problems facing the country is available in the series of reports on the country compiled by the International Crisis Group. The website of the Digital Himalaya project provides anthropological information, including basic census data for all of the country's Village District Committees and an archive of back issues of journals specialising on Nepal or the Himalayan region. A complete run of Himalaya (the journal of the Association for Nepal and Himalayan Studies) has recently been added and this periodical is also available on the digitalcommons.macalester site. There are also details and trailers for films on the region, including Ben Campbell's Way of the Road, which focuses on a Tamang community in the Trisuli Valley and the likely impact on it of a planned road to the Tibetan border. Extensive bibliographies on different aspects of Nepal are available on the Martin Chautari website. An extensive gallery of pictures of the country can be viewed on Facebook at Nepal in Pictures and popular shows from Nepal Television can be watched on Nepal123.com This Youtube video, aimed at prospective tourists, highlights landscape, culture and adventure pursuits. Another has film taken by Toni Hagen in the 1950s, with Nepali commentary added. Photographs of Nepal taken by american Peace Corps volunteers in the 1960s and 1970s have been collected on the Rounds Imaging Services site. Archaeologist and anthropologist Johan Reinhard, who has visited Nepal frequently since 1968, has posted his own photos up to 1994 on Google Photos. There are a large number of organisations set up by and for Nepalis living overseas. Motherland Nepal, for example, organises events and programmes in north California and provides video new s bulletins focusing on the area. Hong Kong has a plethora of societies, some of them catering for specific ethnic groups within the Nepalese community, and there is also a Facebook page, Archive of Hong Kong Nepalese after 1997. Some English-language articles on the same topic are collected on the`linguae' NEPALIS IN HONG KONG page. 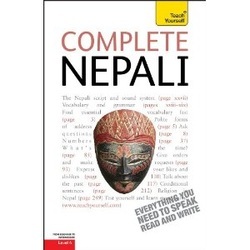 Complete Nepali by Michael Hutt, Abhi Subedi and Krishna Pradhan in the Teach Yourself series, provides and up-to-date introduction to the language and is also available as a book/CD pack. Hutt, Professor of Himalayan Studies at the University of London's School of Oriental and African Studies, has many years' experience teaching the language to foreign learners, whilst Subedi, a former head of the Department of English at Tribhuvan University in Kathmandu, is a well-known Nepali poet and critic. Krishna Pradhan also teaches Nepali at SOAS. The book is a revision of Hutt and Subedi's earlier Teach Yourself Nepali, copies of which are still available second-hand or from libraries. 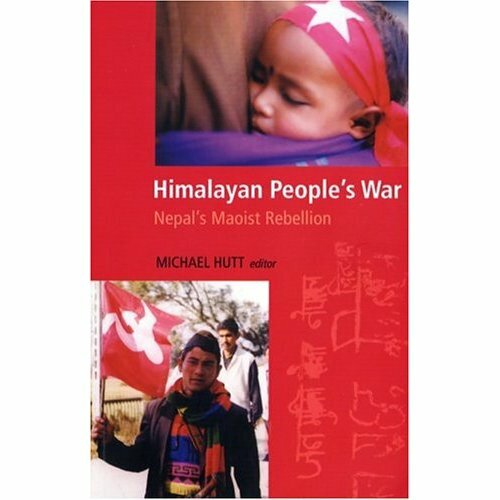 Learners who have already acquired a basic knowledge of Nepali and wish to tackle Nepali literature in the original may want to go on to Hutt's Modern Literary Nepali: an Introductory Reader, which includes extracts from leading authors with introduction, notes and a comprehensive vocabulary, as well as literal translations of the verse selections. Nepali is the first language of only around half Nepal's population and the country is home to around one hundred other mutually unintelligible languages, a situation brought about by the mingling of different migration streams in this `ethnic urntable of English' and also by the relative isolation until very recently of different mountain communities, which encouraged linguistic diversity. The standard reference works on languages spoken in Nepal and elsewhere in the Himalayas is George van Driem's 2-volume Language of the Himalayas. This includes extensive discussion of general linguistic theory and of controversial hypotheses on the relation between different languages, but also a wealth of detail on individual languages and their speakers. The book is prohibitively expensive but available in good libraries. A review article, originally published in Studies in Nepali History and Society, gives some idea of the scope of the book's contents. Toni Hagen, a Swiss geologist who carried out an extensive survey of the country in the early 1950s and was later involved in work with Tibetan refugees, produced a `coffee table' book, Nepal: the Kingdom in the Himalayas, with both superb photographs and a good account of the origin of the Himalayas and (in the 1980 edition) of economic and social developments after 1950. The book may be difficult to get hold of in the West but some used second-hand copies are available from online booksellers. David Gellner, Joanna Pfaff-Czarnecka and John Whelpton's Nationalism and Ethnicity in Nepal, originally published in 1997 as Nationalism and Ethnicity in a Hindu Kingdom and re-issued in 2008 with an additional account of recent developments includes general overviews and studies of particular ethnic groups. 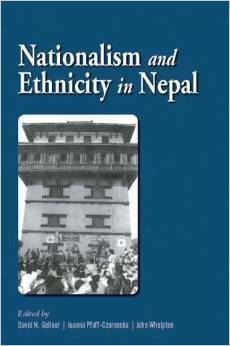 John Whelpton's chapter on the development of Nepalese national identity draws on his earlier paper, `Being Nepali', which includes more detailed historical information and is available here. 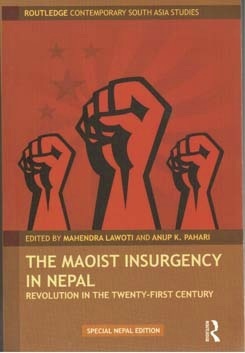 Mahendra Lawoti and Anup Pahari's edited volume, Maoist Insurgency in Nepal: Revolution in the 21st Century, brings together essays by specialists in different disciplines and with widely divergent opinions. Some chapters are theory-laden and may be heavy going for the layman, but others present a clear analysis of the causes of the rebellion and of developments since the 2006 peace agreement. The editors are well-known Nepalese scholars currently based in the USA. The illustration shows the special edition for Nepal, which can only be obtained from bookshops in the country. 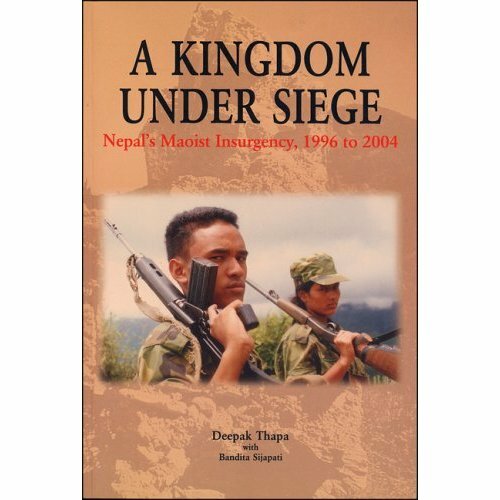 Useful sources of information on the background and early years of the insurgency are Deepak Thapa's Kingdom under Siege and the collection of papers edited by Michael Hutt, Himalayan People's War. In contrast to most anthropological writing on Nepal, which focusses on particular castes or ethnic groups, Mark Liechty's Suitably modern: making middle-class culture in a new consumer society , published in 2002, examines the changing life-styles and values of the urban middlle-class and the pressures produced as they adapt and compete in a new environment. The author is an American academic but was brought up in Nepal, where his parents worked for the largest Christian missionary organisation operating in the country. A thorough and very readable account of the urban civilisation of the Kathmandu Valley in the anceient and medieval periods is provided by art historian Mary Shepherd Slusser. This lavishly illustrated work focusses particualry on art and architecture but includes an excelent synopsis of the Valley's political history, drawing on detailed resaearch work by local scholars since 1951. 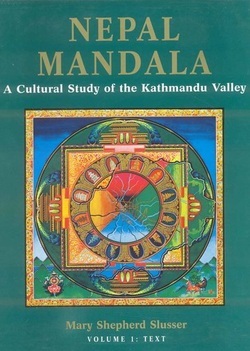 Originally published by Princeton University Press in 1982, Nepal Mandala is available in a reprint edition from Mandala Book Point in Kathmandu. For a detailed account of the founding of the modern Nepalese state by King Prithvi Narayan Shah of Gorkha in the 18th century and the kingdom's subsequent expansion, there is a good account in Ludwig's Rise of the House of Gorkha. There is also a study by Leelanateshwar Baral of Prithvi's campaigns and of his writings, drawing particularly from the vamsavalis (chronicles) in the Hodgson Collection of the British Library. This is an unpublished Ph. D. thesis but can be downloaded free of charge from the University of Cambridge site. 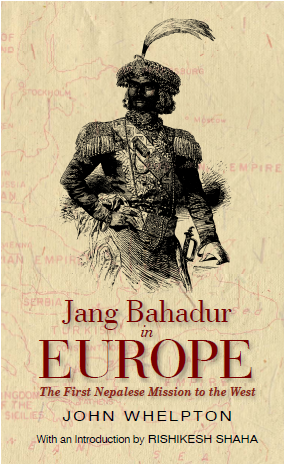 John Whelpton's Jang Bahadur in Europe, originally published in 1983 and re-published in 2016 in a revised and ex extended edition, focusses in detail on the visit to London and Paris in 1850 of Jang Bahadur Kunwar Rana, the founder of the Rana family regime which governed Nepal from 1846 to 1850. It included a translation of a contemporary Nepali account probably written by one of Jang's travelling companions, as well as extensive extracts from Brtish and French newspaper coverage of the visit and comprehensive background material. Further details are provided on a separate web page and also on this page in the `Moti Lal Singh- the first Nepali in London' section below. AmandaSnellinger's Making New Nepal: From Student Activism to Mainstream Politics, published in 2018 and based on ethnographic research conducted from 2003 to 2015, looks at the changes in recent years through the prism of studies five young revolutionary activists establishing themselves in party politics. A very valuable collection of essay by leading scholars on recent changes in Nepali society is provided in Religion, Secularism and Ethnicity, in Nepal (2016) edited by David Gellner, Sondra Hausner and Chiara Letizia. An inexpensive South Asian edition was published in 2018. ​For works on Nepali history actually in print and available in Kathmandu, consult the on-line catalogue of Ratna Pustak Bhandar. 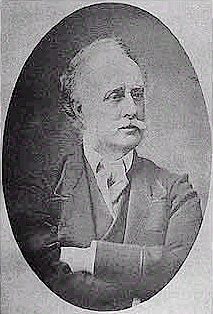 Brian Houghton Hodgson (1801-1894), who was the East India Company's Resident (i.e. resident representative) in Kathmandu during crucial years for Indo-Nepalese relations in the 1830s and early 1840s, was also a distinguished scholar, who made important contributions to the study of all aspects of Nepal. In 1864 he gifted to the India Office a large collection of materials in several languages which he had amassed in Kathmandu and then in retirement in Darjeeling. A brief account of his life is available on this site and the catalogue of the Hodgson manuscripts, now housed in the British Library, can be accessed at www.digitalhimalaya.com/hodgson. The initial draft of the catalogue was produced by Ramesh Dhungel. The first illustration below shows Hodgson himself and the second (reproduced by courtesy of the British Library) some of the members of the project team with Michael Palin, one of the major donors to the project, at the launching of the website on 25 July 2011. Other photographs of the event can be viewed here. For an example of folk-style Nepali music, combined with Hindi-cinema-style choreography, try माझी दाई पोखरा फेवा ताल को (Majhi Dai Pokhara Phewa Talko, `Brother Boatman of Phewa Tal at Pokhara'), avideo filmed on Phewa Tal, Nepal's most famous lake, with Macchapuchare (part of the Annapurna group) in the background. The clip below is another example of Dohori - a traditional folk genre in which male and female singer sing alternate lines. The American, Anna Stirr, is an academic researcher on the topic as well as an accomplished performer. Her partner is a well-known Nepali singer, Rajesh Thapa. The same performers can be heard here singing another song, this time improvising their lines in the traditional manner. This is an 80-minute documentary in Nepali with English subtitles presenting the Nepali viewpoint on border problems with India. The second half focusses on points along the border where the Indian security forces have been either forcing people off land Nepal claims is its own territory, or insisting that residents declare the territory is Indian and accept ownership certificates etc. from the Indian authorities. While Nepali claims of Indian encroachment may often be correct, the first half of the documentary, arguing that all the territory lost by Nepal under the 1816 Treaty of Sugauli should, under international law, be returned to Nepal by India, is much less convincing. In particular the argument that in ancient times a government in Kathmandu controlled a vast territory across the Himalayas and in northern India rests on a misinterpretation of ancient evidence, and Prithvi Narayan Shah in the 18th century was building an empire, not re-uniting a divided nation. An offer to return Darjeeling to Nepal probably was made by the Brtish in 1946 and rejected by the Rana regime but it is very unlikely that the British offered to return also the western territories (now the Indian state of Uttarakhand) as the film claims. A fascinating collection of pituresillustrating the history of roads and railways in Nepal is available on a Facebook page celebrating the 5oth anniversary of the Nepal Transport Service. The photograph below was originally published in a 1950 article in National Geographic magazine. An unsolved mystery: where is this temple? This drawing of unknown origin was discovered by Henry Noltie of the Royal Botanic Garden in Edinburgh. The temple style and the background immmediately suggest Nepal but nobody has yet been able to identify it: the architectural details are wrong for Changu-Narayan, the first possibility that comes to most people's minds. It is possible that the artist produced a stylised portrait without concern for accuracy but it was still probably based on one particular location, If you have any theories, please let me know by email here. 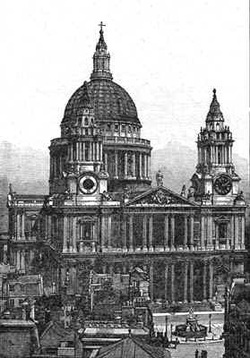 During Jang Bahadur Rana's 1850 visit to London, the first by a ruler of a South Asian state, the Indian News of 17 June reported that he or one of his party had invited `Buxoo', a `Hindoo crossing-sweeper' in St. Paul's Churchyard to join his party. The newspaper's reference to his being `proficient in Hindoostanee' (i.e. Hindustani, the lingua franca of northern India) led to the assumption that he was an Indian. However, in September 2010 Biswo Paudel published an extract and a partial Nepali translation of an article in another London publication, New Monthly Magazine of July 1850 (p.272-89 of the annual volume), written, probably with the help of a ghost-writer, by the sweeper himself. 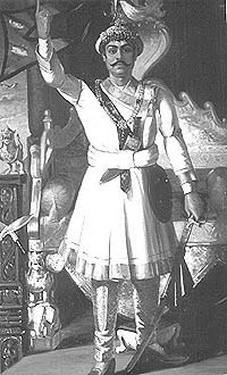 He was in fact a Nepali named Moti Lal Singh, who had been captured by the British during the Anglo-Nepal War of 1814-16, enlisted in the British Indian Army and later made his way to London where he worked as a sweeper for many years before his sudden elevation to fame. Jang already had with him as interpreter an Anglo-Indian secretary but engaged Moti Lal as an additional assistant to help him fathom out the strange ways of London and the British. It is unclear what happened to Moti Lal when Jang left London in August 1850 but he wrote of missing the wife he had left in Calcutta and most likely accompanied the official party back to India if not back to Nepal itself. Paudel's findings (Birsieka Motilal , `Forgotten Motilal') can be read in the 1 September 2010 issue of Himal Khabarpatrika, no.271, p. 10-11 and the Indian News report is reprinted in John Whelpton, Jang Bahadur in Europe, Kathmandu: Sahayogi, 1983, p. 232-33. In 2013 Krishna Adhikari published a Nepali translation of the article, with an extensive introduction: Belayatma Pahilo Nepali Motilal Sinhako Rahasyamaya Jivan ra unka Aitihasik Alekh [The Mysterious Life of Moti Lal Singh the First Nepali in Britain and his Historic Article], Reading: Centre for Nepal Studies UK. The entire original English text, with annotations, is included in the revised edition of John Whelpton's Jang Bahadur in Europe (1983) published by Mandala in Kathmandu in 2016. Some of the themes in the book are presented in the Powerpoints below. The first file accompanied a lecture at the Royal Asiatic Society in London on 18 March 2016. The Podcast of the talk itself is available at http://backdoorbroadcasting.net/2016/03/john-whelpton-jang-bahadur-in-europe/ The second and third files are the slightly altered versions used with a talk on the same subject at the Social Science Baha in Kathmandu on 30 March 2016 and include the evidence recently uncovered by Krishna Adhikari that Moti Lal accompanied Jang's party at least as far as Paris. The fourth file was used in a presentation to the Hong Kong Anthropological Society in February 2017, which included more comparative material from the memoirs of Sheikh Lutfullah Khan, a Muslim traveller who visited London in 1844 as interpreter and secretary to an Indian nobleman. The Kathmandu talk and the following question-and-answer question can also be viewed on YouTube. Both the illustration and the audio-file were originally made available on Johannes Bornmann's website, Bilder aus Nepal, which contains a large collection of modern and historical photographs. Nepal was until 2006 officially a Hindu state and it was illegal for Hindus to convert to Christianity or for Christian missionaries to proselytise. Nevertheless, missionaries have worked in the country since 1950 on various development projects, and ethnic Nepalis from Darjeeling formed the core of a small Christian community which has expanded considerably since Nepal was declared a secular state. The relationship between Christians and Nepalese society, and between different Christian denominations, is analysed in these two PowerPoint presentations. The first accompanied a talk for the Hong Kong Anthropological Society on 12 January 2012. The Word document is the handout prepared for the this and includes a basic bibliography. The second PowerPoint is an amended version prepared for a lecture given on 3 December 2012 at the Social Science Baha in Kathmandu, which was recorded and can be heard on the Baha website. Discussion on the second occasion made it clear that not enough weight was given to Christian organisations that have become active since 1990 nor to churches founded before then by individual Nepalis and this will be corrected in a future version. The talk itself also inaccurately claims that the bulk of converts in the Valley are Damais, whereas in fact this was true only of the particular village in which a researcher interviewed had been working. Valley-wide, large numbers not only from Damais but from Dalit castes in general have become Christians. The BBC website has a 2011 audio slide presentation on the Christians' campaign to be given a burial ground. More recently (August 2018) the BBC's Nepali service carried an interview with a prominent Nepali Christian leader, K.B.Rokaya, who once strongly supported the declaration of Nepal as a secular state but has no changed his stance, arguing that the result has been to diminish the role in society of religion in general. Ian Gibson maintains an on-line bibliography on Christianity in Nepal, which aims to cover all English-language items. This is part of a larger site developed from an earlier Facebook discussion and now covering all aspects of the subject.